For many homeowners, the kitchen acts as the heart of their home. When it comes to a kitchen remodel, you want to offer your clients the very best. At ProSource® of Concord, we can help you achieve your goals by offering you top-brands at wholesale pricing. Whether you are in the beginning stages of design or you already have your kitchen remodel planned out, our expert team is ready to assist you in finding the products and materials you need. 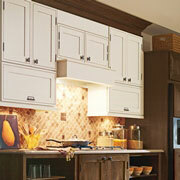 Bring the kitchen to life with brand new cabinets. Opt for beautiful hardwood finishes or glass showcase fronts. Either way, we can help pair you with the perfect kitchen cabinets for your client’s needs. Every detail counts when it comes to designing a kitchen. 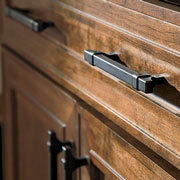 Be sure you browse our extensive selection of cabinet hardware to put the finishing touches on your kitchen overhaul. Looking for a solid marble countertop built to withstand the test of time? Want a classic granite piece to pull the room together? 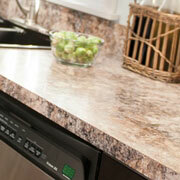 Come visit us at ProSource to find the perfect countertops for your unique design. 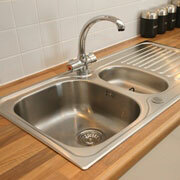 For a busy family, upgrading a kitchen sink to a larger model will help create a more practical space. In other cases, a simple but stunning stone basin will be enough. Shop kitchen sinks at our showroom and find the right fit. 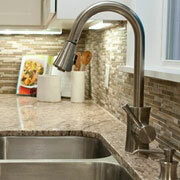 More than just a way to regulate water flow, a kitchen faucet provides a beautiful accent to the sink below. Choose from sprayers, hot water taps, and more when you opt to shop for kitchen faucets at ProSource of Concord.